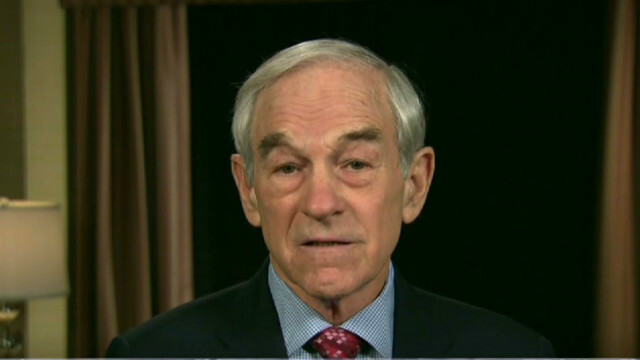 Ron Paul on Syria: I think it’s none of our business. CNN’s John King talks to presidential candidate Ron Paul about the situation in Syria. A highlight from the interview is after the jump. KING: What would a President Paul do about that right now? PAUL: Well, that problem has been going on for many, many years, if not centuries, bad governments. Look at what they did. The cists killed millions, hundreds of millions of people. So it’s a tragedy and it happens in Africa all the time. But I’m not representing those countries as a congressman and as a president, I represent the United States. And I don’t think it’s a wise thing to get involved in the civil war that’s going on in Syria. That would cost money. It would cost lives. And it would — it may — may well spread. And already, because we are agitating, we’re already very much involved, trying to get the U.N. to do this and that. And the — the Russians now don’t like it and the Chinese don’t like it. So what should be a domestic civil war is now turning into an international crisis and the Russians and the Chinese are reacting to us by pushing this. I think it’s none of our business. I think it’s a tragedy, but I can point out many tragedies manifold greater than this. But it’s not in American interests. now, as president, if there was a crisis like this and it was building and somebody was making the case, oh, no, it’s in America’s national security, I’d go to the Congress. I wouldn’t go to the United Nations or NATO. I’d go to Congress and say, do you think this deserves a war? If it does, you declare the war and we’ll go to war, fight and win it. But to assume that we have an automatic obligation to be over there, I think, is a very dangerous thing to assume.